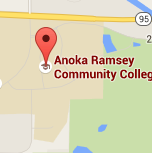 Many people start their educational career at Anoka-Ramsey by completing what are often referred to as "generals". Anoka-Ramsey offers courses and two-year degree programs, such as an Associate in Arts (AA) degree, specifically designed to provide the first two years of college coursework that transfers to another college or university that grants a four-year baccalaureate degree though Transfer Articulation Agreements. The college/university where you transfer determines which credits will transfer and if they meet requirements for specific degrees. Degree programs usually count credits in three categories—general education, major/minor courses, and electives. Are you a veteran or service member? Check out military credit transfer information for the Minnesota State system. A transcript is a record of your academic history. Official transcripts are used for official credit evaluations. Unofficial Transcripts can sometimes be used to satisfy prerequisite requirements for certain courses. 1. Go to e-Services Login home page. 2. Login using your Star ID and Password. 3. Click "Grades and Transcripts" on the left-hand side of page. 4. Click "Academic Record" on the left-hand side of page. 5. Choose format and click "Get Academic Record" ("Chronological" is the most common). Your transcript will take a few minutes to load. 6. Click the PDF icon to get a copy of your unofficial transcript that you can save and print. Contact the receiving institution's records office to find out what their procedure is for receiving your transcript. Effective November 5, 2009, if you have attended or are currently attending one or more Minnesota State institutions, your official transcripts can be electronically retrieved by all other Minnesota State institutions, including Anoka-Ramsey Community College. Please check the Minnesota State list for all colleges included. There is no charge for this service. 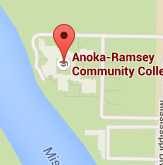 Anoka-Ramsey Community College reserves the right to withhold your diploma and/or transcript until all money owed to the college for tuition, fees, and equipment has been paid. Remember to check the deadlines & submit your application to the college or university where you are planning to attend.